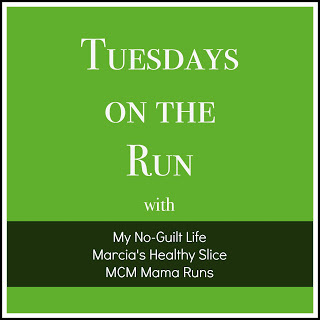 I am linking up with Marcia, Erika, and Patti for today’s Tuesdays on the Run. Medals, medals, and more medals. 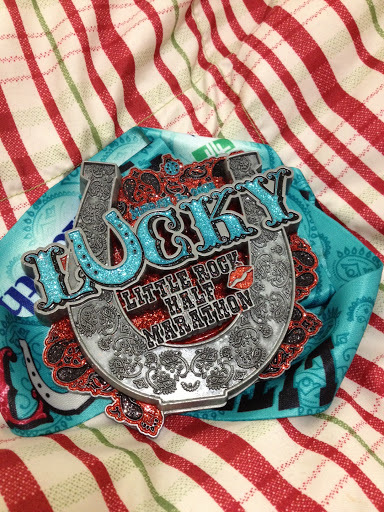 Normally I do not run a race just for the medal but it is definitely nice to get one. But I am OK with not getting one. 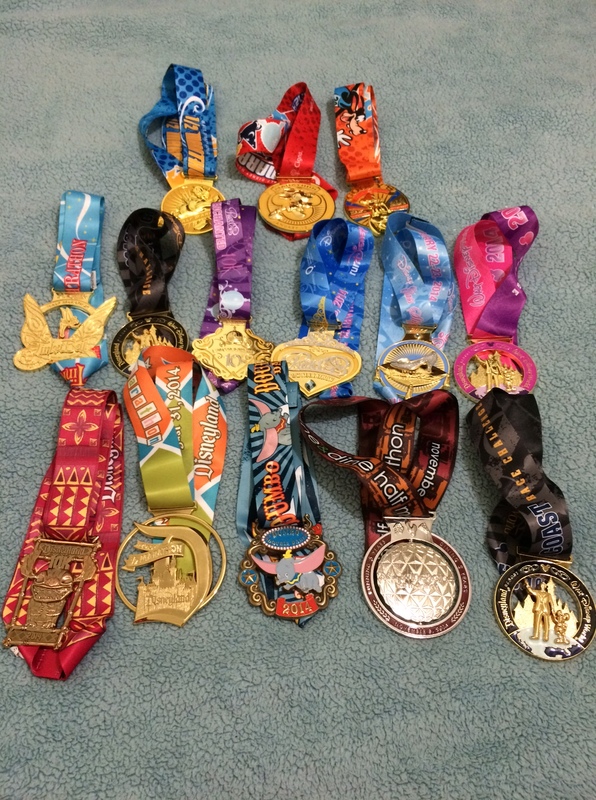 My favorite series of medals are from the RnR Marathon Series (total of 22 medals) and the Run Disney races (total 14 races). How can you NOT like this one? One day I will run this race just for the medal. Why not? This one is as big as my face! Disappointed with this one. 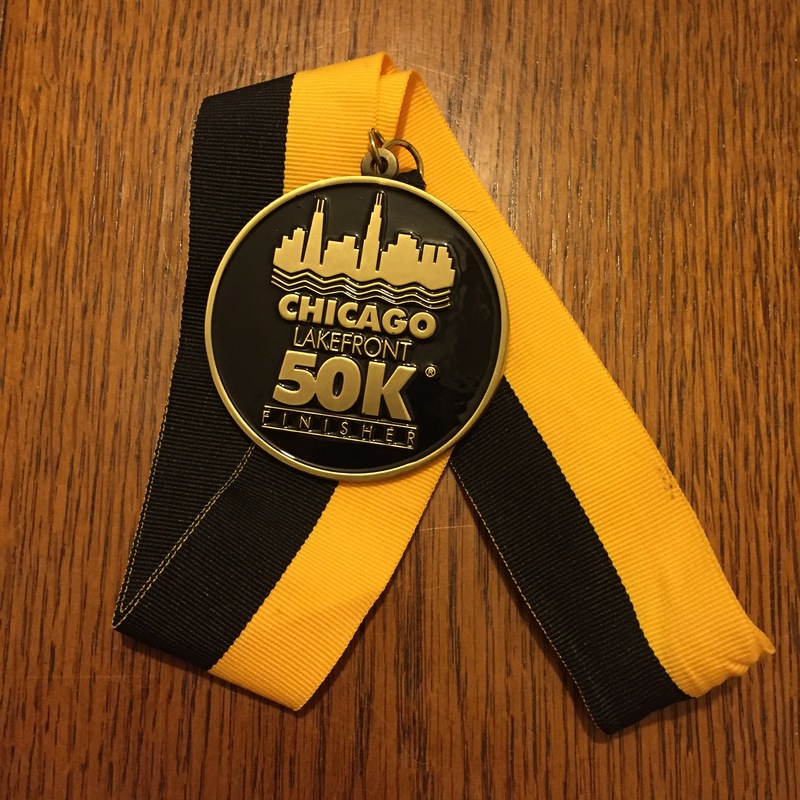 I mean, I just ran 31 miles (50k) so a bigger medal would have been nice. Right? However, it hasn’t stopped me from running this race. So far I’ve run it twice. My first half marathon medal from August 2006. 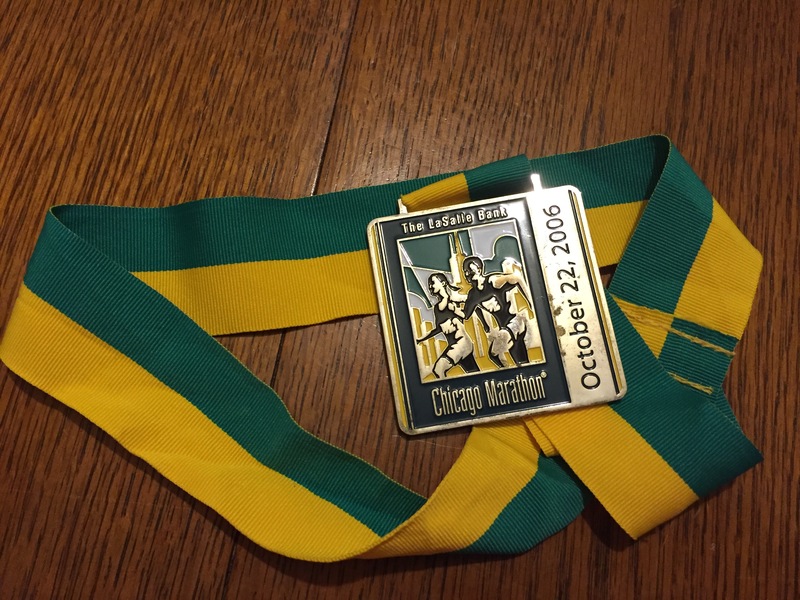 My first Chicago Marathon medal from October 2006. 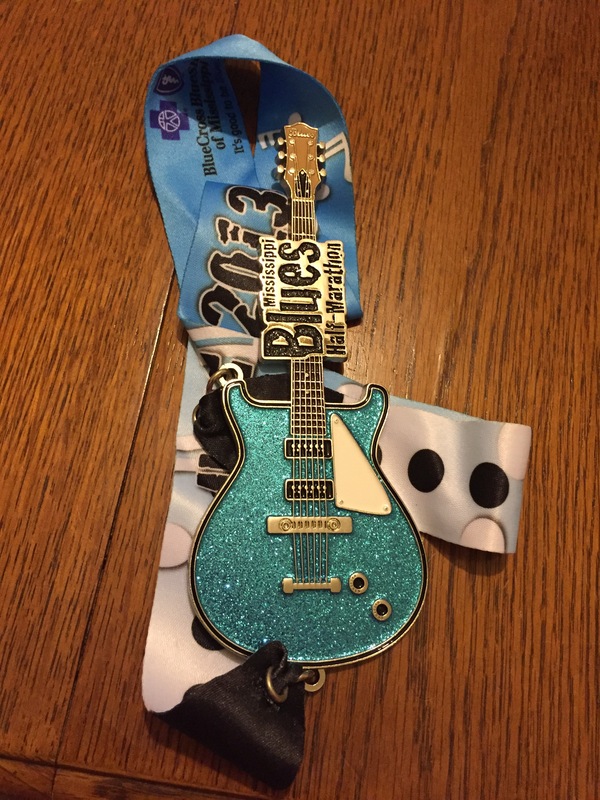 Do you run a race just for the medal? Or are you OK with no medal? I love all of those! 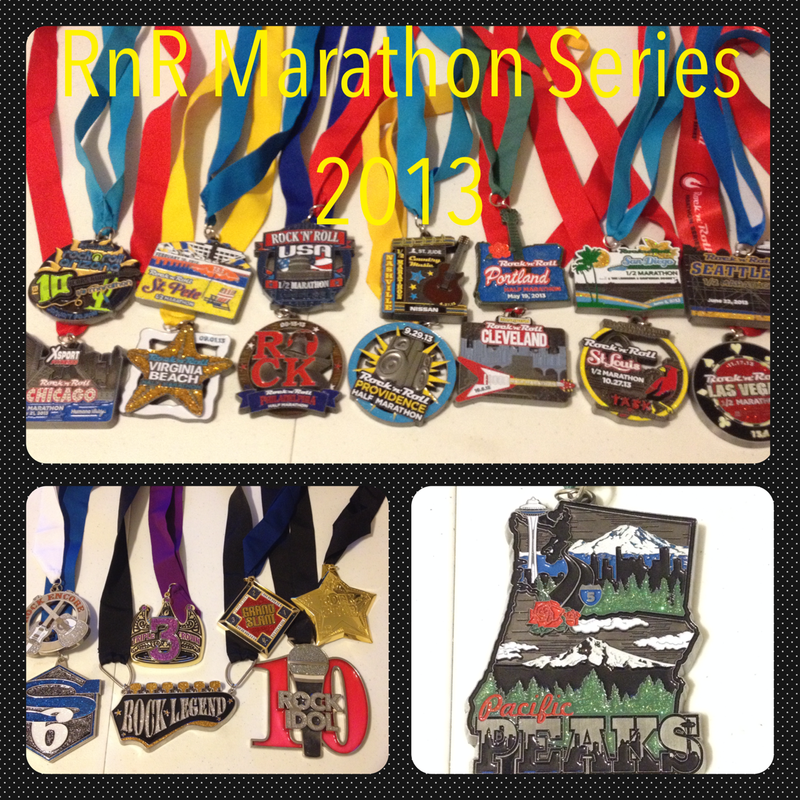 Your collection is so awesome- and RNR does a fantastic job with their medals. Thanks for sharing! Thanks. I have many more medals and one day I will count them. I am guessing that I have maybe 100 or so. Holy cow! You’ve got a fantastic collection! There was no medal or shirt for my first half so I’ve got nada. I wish I had something to remember that race by. Looks like you started in distance the year before I did (2007). 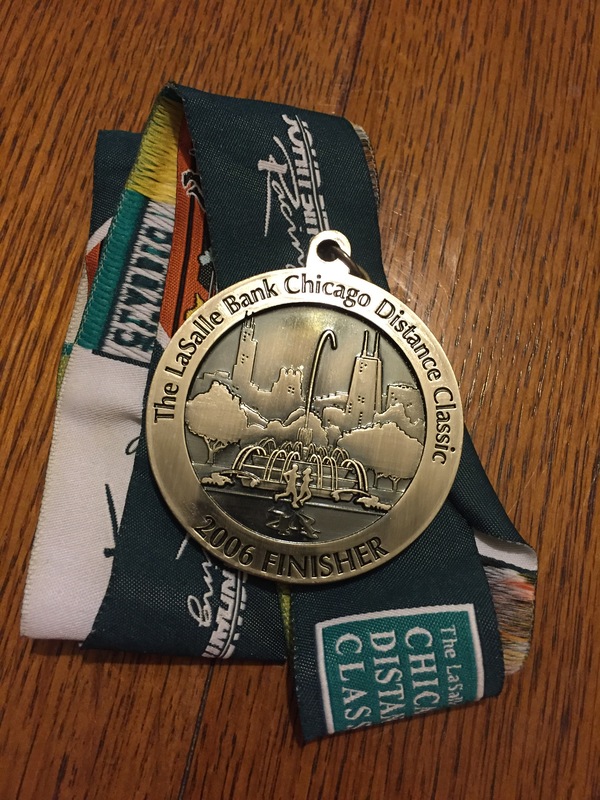 I think my Chi Marathon medal was the last one in the LaSalle green before it changed to BOA RWB. 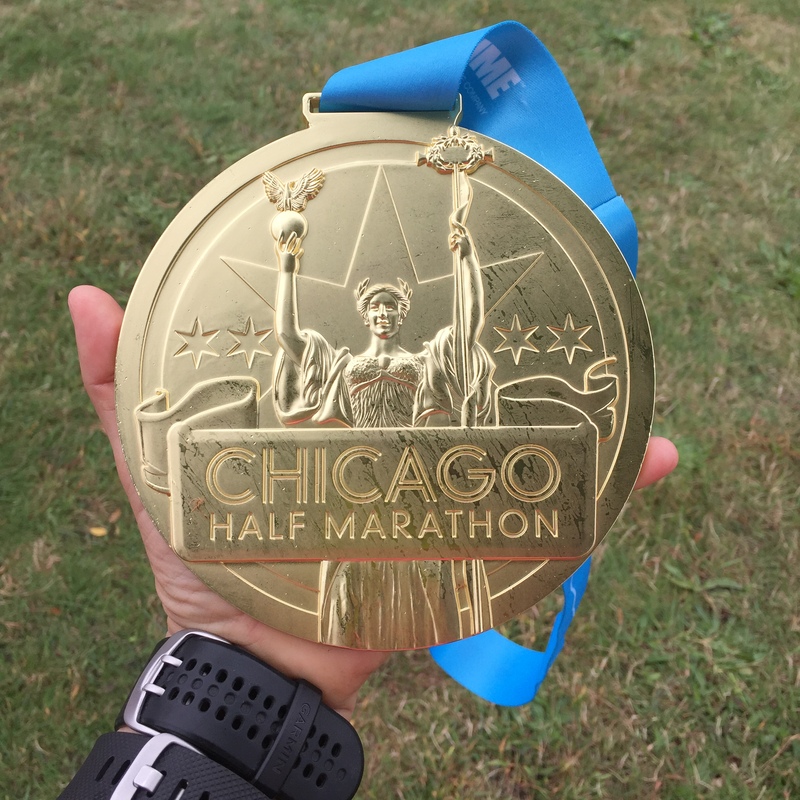 I started running in 2005 and ran my first marathon in 2006. OMG, look at all of your gorgeous bling! The RnR and Disney medals are my own favorites, and you’ve got enough of them to cover an entire wall! I used to not care about getting medals, but once I started amassing them I became fixated on growing the collection. It’s kind of like a momentum thing, LOL. These days I select races based on the quality of the medal! Thanks. One day I will count all of my medals and take a picture. You’ve got some awesome medals! But I never run a race for the bling. 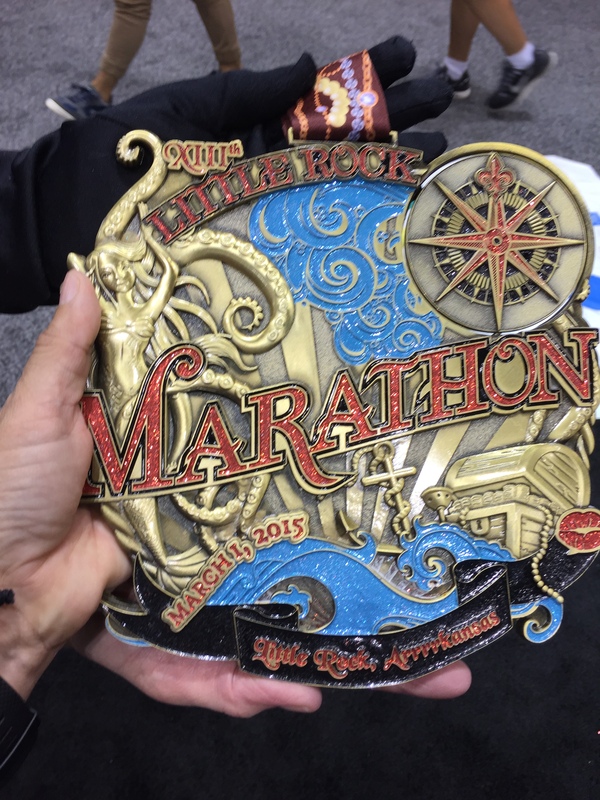 Last year I ran that LZ half, and the medal was meh, but you know what? I earned it and that’s what counts to me. You are right. Small or big we’ve earned the bling.